You will be provided with an apron to use for the day and recipe packs to take home. No washing up necessary as we have someone on hand to take care of that. Demystify grains and pulses and teaching you the basics of making great vegetarian meals. The food of the Middle East has become increasingly popular lately, the best way to celebrate this tasty cuisine is with a mezze platter comprised of a selection of small dishes. This class will take you through a variety of one pot wonders perfect for easing into the cooler months. Autumn vegetables paired with pulses and grains to create delicious nutritious dishes. Christmas is coming and we know how to put vegetables in the centre of the table. Learn how to create delicious festive plant based recipes that are bound to impress. Deliciously vegan is a vegan cookery class that is inspired by the season. Erin has over 20 years of experience creating vegan meals full of seasonal vegetables and world flavours. Curry is a global favourite, learn to recreate a variety of curries of the world. We will explore the seductively spiced curries of India, the fragrant curries of the Caribbean, the creamy coconut curries of Thailand and fruity African curry. This class is sold out, the next date is 4th May. 3 day cookery retreat on an organic farm. To book tickets, visit the Organic Farm shop site from the next page. NB This course is now sold out, but will run again from 4th-6th October. Plant based recipes that are healthy, quick and delicious. Wholesome grains, seasonal veg and lots of flavour are the key ingredients to delivering a quick meal. NB This class is now sold out, but it will run again on the 8th May. Join us for a fun filled day filled exploring the Italian kitchen. Master the technique of making fresh pasta, learn how to cut and fill ravioli. Discover the world of focaccia made with an overnight biga and create wobbly panna cotta with seasonal fruit. Delicious vegan dessert recipes to satisfy any sweet tooth. From lemony tarts to moist sponge cakes, this class will teach you how to create gorgeous treats. Trying to eat less meat or just eat more veg? 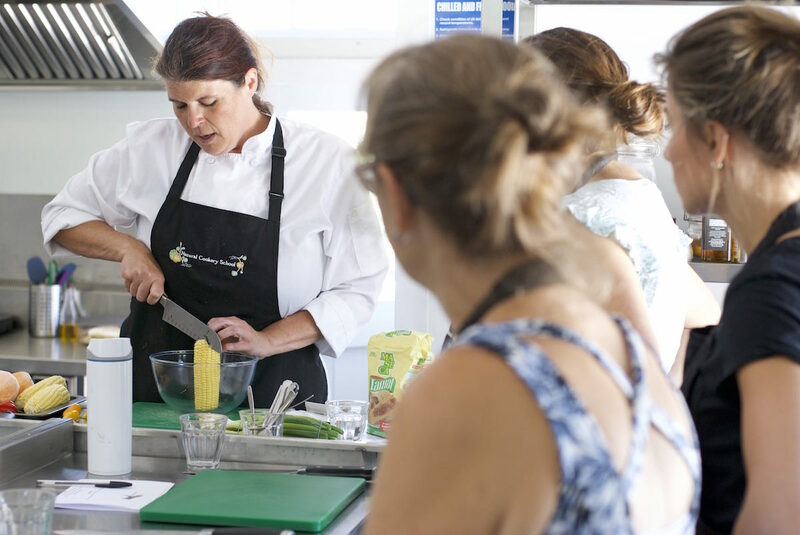 The Veg Table cookery class will help you put veg in the centre of the table. We will cover an array of plant based recipes that inspire you to eat more vegetarian and vegan meals. Hop on board for the Pan Asian Express! Pan Asian cuisine spans all of the southern countries in Asia. Explore the magic of making an Indian Thali. A thali is a meal made up of a variety of dishes. You will learn to make delicious recipes. Everyone loves noodles! Spend the evening learning to create oodles of noodle bowls that are fresh, healthy and bursting with flavour. Discover the world of Levantine cuisine with our Arabian Nights cookery class. This historic area includes the modern regions of Syria, Israel, Lebanon, Palestine and surrounding eastern Mediterranean.